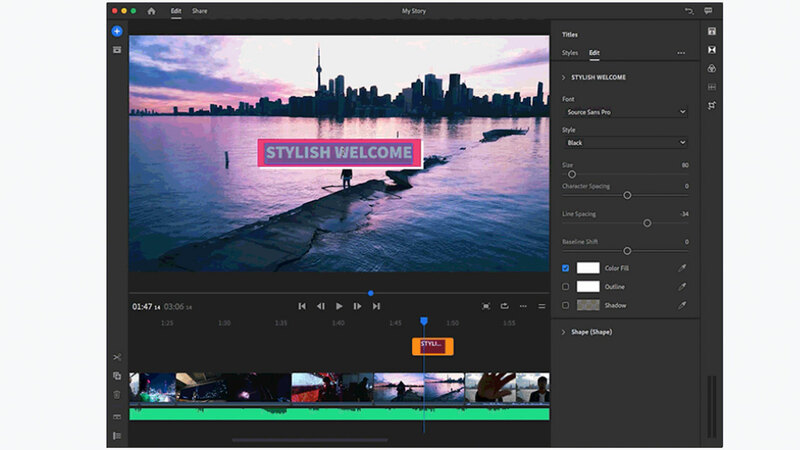 Adobe launched Premiere Rush CC, a NLE geared towards Youtubers and casual video users. Formerly known as Project Rush, Adobe Premiere Rush CC is available on Mac, Windows and iOS (Android version is coming). Here’s what you need to know. 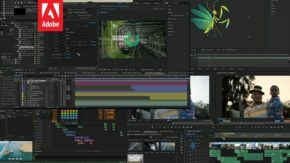 Adobe gave a Sneak Peek into Premiere Rush CC at VidConUS 2018, we reported about it here. 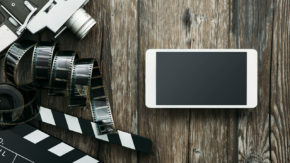 According to Adobe, the application is specifically geared towards online video creators, with export options not only for YouTube, but also for platforms like Snapchat, Instagram, Facebook, Twitter and Vimeo. 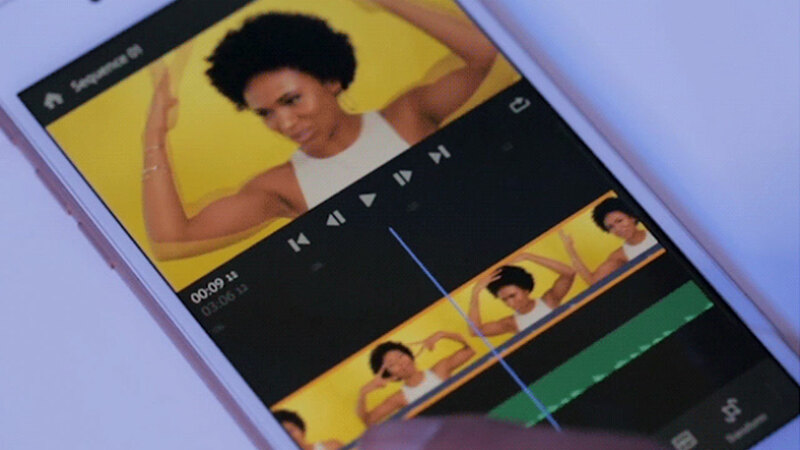 The release of the application can be seen as part of a push to improve Adobe’s software platform in general, staying up to date with mobile device usage for productivity and the requirements of the social media age. This push had previously been spearheaded by the – some might argue very chaotic – repositioning of Lightroom, splitting the application into Lightroom Classic CC (being the Desktop version) and Lightroom CC being the Cross-platform version, albeit with a reduced feature set. Adobe also recently teased a Photoshop CC version for the iPad, with a similarly reduced, yet powerful feature set. It is able to use unlimited layers and work with proper PSD files. With a feature set this rich, one could think that Adobe Premiere Rush CC is here to someday replace Premiere Pro and more and more people think this will eventually happen. With Premiere Pro being the current marketshare king of NLEs, it still has its problems – performance being one of the major ones. This might be due to underlying software architecture decisions made by Adobe before and during the smartphone revolution. So is Adobe Premiere Rush CC here to someday replace Premiere Pro, similarly to how Final Cut Pro X has replaced Final Cut Pro 7, with iMovie being the testing ground for new developments? Or is Adobe Premiere Rush CC going to stay its own thing with a different profile? It is questionable whether even Adobe can know at this point, with the software landscape and workflows being so highly dependant on hardware developments both on the capture and edit side. Adobe Premiere Rush CC is available now on Mac, Windows and iOS, with Android versions coming soon. As part of the Creative Cloud Starter Plan you can try Premiere Rush CC for free and export up to 3 projects this way, subscriptions including Rush start at $9.99 per month. You can find out more about Rush here. Are you excited about Premiere Rush CC and are you going to try and use it? Do you think it is likely to replace Premiere Pro and will it be as big a debacle as it was with Final Cut Pro? Let us know in the comments! 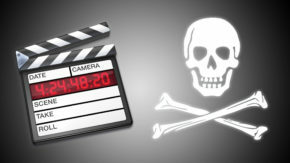 While Rush looks interesting, I don’t buy into the theory that it will replace Premiere. It is always great to have new tools, and especially those designed to break down the barriers of entry into this industry. But personally I think it’s hyping it up too much to say it’s going to replace Premiere.